Asked by a reporter whether there would be a meeting before the deadline, Trump said: "No." When asked whether there would be a meeting in the next month or so, Trump said: "Not yet. Maybe." "At some point the two presidents will meet, that is what Mr. Trump has been saying. But that is off in the distance still at the moment," he said. "I could see where that would impact the markets because obviously we had a lift in the month of January from optimism surrounding these trade talks," said Peter Jankovskis, co-chief investment officer at OakBrook Investments LLC in Lisle, Illinois. 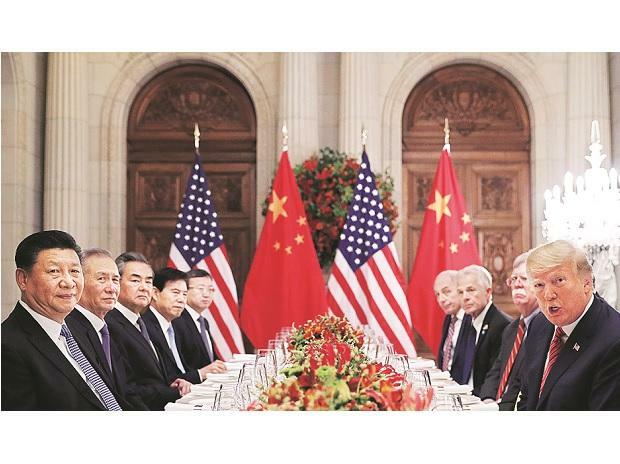 Trump said in his State of the Union address on Tuesday that any new trade deal with Beijing "must include real, structural change to end unfair trade practices." "If we don't make headway between now and then, my advice would be we can't fit. But if we do make headway, and the president thinks we're close enough that he can close the deal on major issues, then I think he'll want to have a meeting and do that," he told reporters. "I have complete confidence in the president, both to close a deal if we get to that point, but also to make that judgment."